Liverpool is a city on the eastern side of the Mersey Estuary in England in the UK. 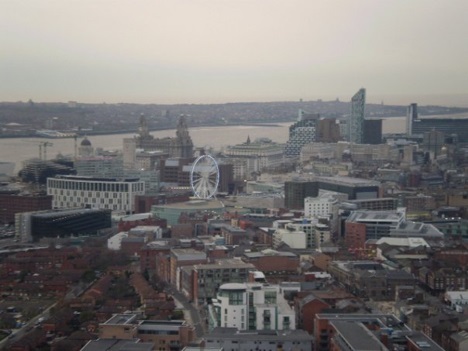 As of 2007, Liverpool had an estimated population of 820,500. People from Liverpool are known throughout the United Kingdom as "Liverpudlians" or "Scousers", the latter after a "scouse" which is a type of stew the originates from the city. In 2008, Liverpool will jointly hold the title of "European Capital of Culture" with Stavanger, Norway. Liverpool is well known for its sporting heritage and is home to the Everton and Liverpool soccer clubs. Many soccer fans, even outside the UK, are extremely familiar with Liverpool because of their tremendous successes in European football. 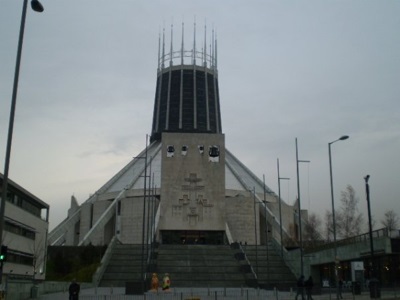 Liverpool is a city in northwestern England, located on the East side of the Mersey Estuary. Liverpool is the 4th most populous city in the United Kingdom, and the most populous in northern England. People from Liverpool are known as Liverpudlians or Scousers. The word "Scouser" is derived from "scouse", a type of beef or lamb stew that is a popular dish in the city to this day. The city is on the M62 motorway. There is both a local rail network, and also rail connections to other parts of the UK. The city's principal rail station is Lime Street station. Ferry services from the port connect Liverpool to the Isle of Man, Belfast and Dublin. Liverpool John Lennon Airport lies to the South of the city, and provides air links to destinations in the UK and overseas. Liverpool has been called the "World Capital City of Pop" by Guiness World Records, as the city has produced more artists who have recorded number one singles than any other city in the world (including, of course, The Beatles). Liverpool also has great sporting traditions. It is home to two Premier League soccer clubs (Liverpool FC and Everton FC). The internationally famous Grand National horse race takes place on the outskirts of the city at Aintree.